Allie + Weston are the two sweetest souls!! 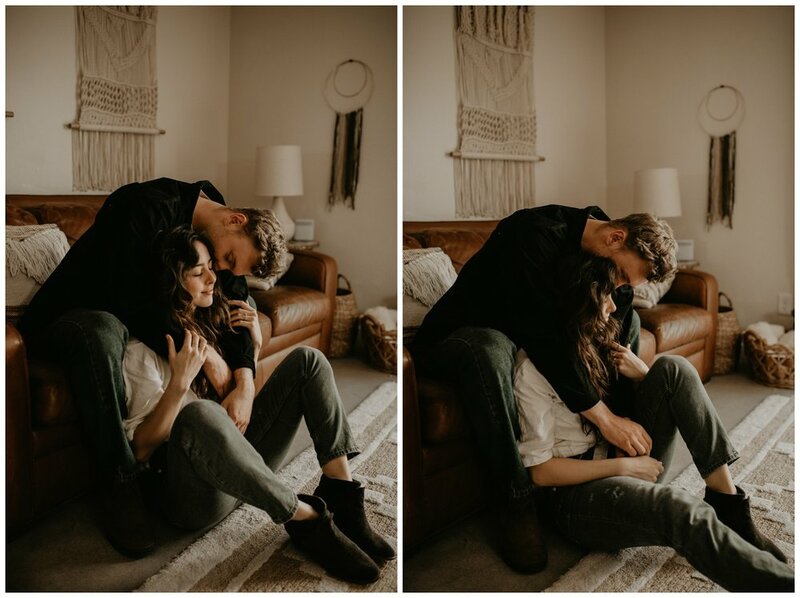 Their in home session was the absolute best. The adorable Joshua Tree Airbnb has all the desert decor you could ever dream of - LOVED all the boho desert vibes!! They had tickle fights on the bed, cuddled up on the couch & rolled around on the floor with laughter. My heart just about burst with joy from all their happiness!! !